After crossing more then 3 Million page views and more then 25 Million views on G+ I still can't believe that Sana's Ramblings completed three whopping years of blogging journey this year in October 2014. 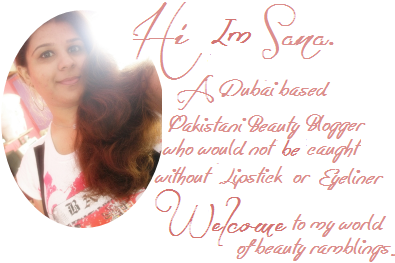 From November 2014 Sana's Ramblings decided to open up an advertising opportunity to web shops, small businesses, etsy store owners etc. If you are a company that would like me to review or look into please e-mail sana.s.ansari@hotmail.co.uk with details for commercial advertising and sponsored posts. Currently, I'm offering THREE packages and all advertising will be held on first come first serves basis and I accept payment via PayPal only. Once you've decided, please email me at sana.s.ansari@hotmail.co.uk with a subject ''Advertise'' to discuss your requirements, terms and conditions and if you're not satisfied you can ask for a customized package for your company/blog/shop/website. My rates start from $3/month and can include #ff mentions on twitter, shout outs on Facebook, sponsored giveaways. All ads run for 1 month. A 300x300 Top Left Sidebar ad banner. Includes ''Exclusive Introductory Post'' with a picture of your blog/shop/business written by you. Link of your blog/shop/business and 4 social media links. Exclusive #ff twitter mention every week with your twitter handle and blog/shop link during the advertising month. Sharing your blog/shop/business every week on my Facebook Page during advertising month. 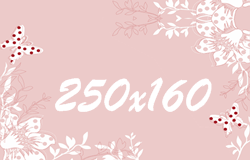 A 250x160 Left Sidebar ad banner. First purchased will be at the top and so on. Includes ''Introductory Post For Advertisers'' with a picture of your blog/shop/business written by you. Link of your blog/shop/business and 2 other social media links. A 150x150 Left Sidebar group ad banner. Group #ff twitter mention every week with your twitter handle during the advertising month along with other advertisers. I retain the right of declining any ad that is not deemed fit for my blog.